Gray Barker was born on May 2, 1925. He grew up in rural Braxton County, near the town of Riffle among a culture saturated with story-telling. Barker was introduced to science-fiction while studying at Glenville State College, which he continued to read as a hobby throughout his life. After graduating, Barker briefly taught English in a Maryland High School before he moved to Clarksburg to manage a small theatre. Barker eventually set up his own business booking films for local drive-ins and cinemas. In January 1953, Barker's first UFO article, "The Monster and the Saucer," was published in FATE magazine. The article described the sighting of the 'Flatwoods Monster'—an alien with a spade shaped head and glowing eyes which occurred several miles from Barker's hometown of Riffle. In September, Barker released the first volume of his UFO magazine, The Saucerian. The magazine focused on UFO sightings and extraterrestrial encounters. Its success survived a name change in 1956, to The Saucerian Bulletin, and continued to draw readers well into the 1960s. In 1956, Barker's first book, "They Knew Too Much About Flying Saucers," was published. The book was a dramatization of Albert Bender's meeting with three men dressed in black—a meeting that supposedly led to the demise of the International Flying Saucer Bureau. The book was a phenomenal success introducing both Barker and the Men in Black to popular culture. The Men in Black had long been a part of folklore representing evil before Barker presented them as a covert group sent to silence outspoken UFO advocates. "They Knew Too Much About Flying Saucers" forged Barker's career as a UFO writer; although he was never able to replicate its success. "realized early on that the UFO mystery was not likely to be solved by him . . . [and as such became] a collector of tales, rumors, reports, dreams, and lies. . .a few describe real events; . . . most, however, are exaggerations, distortions, or unadulterated fantasies." Barker delighted in entertainment factor that could be found among the world of ufology. Barker was a well-known hoaxer among his day. The interesting thing is that Barker's hoaxes have continued to spark debate decades after being debunked. Barker's most well-known hoaxes are the infamous R. E. Straith and the Lost Creek Saucer Sighting. The Straith Letter was Barker's most notorious hoax. It was carried out by Barker and good friend, James Moseley, in 1957. Using State Department letterhead, they wrote to George Adamski as R. E. Straith claiming that he and other department members had evidence supporting Adamski's experiences. While, it is believed that Adamski knew the letter was fake; he quickly publicized it as evidence supporting his claims. The letter sparked debate over Straith's existence, and spurred a federal investigation in which Barker and Moseley were both heavily questioned. The letter's origins remained a mystery until after Barker's death in 1984. The Lost Creek Saucer sighting was brainstormed by Barker and James Moseley in early 1966. The idea was to produce footage of a flying saucer. On July 26, 1966, they had John Sheets—one of Barker's researchers—hold a ceramic "boogie" saucer on a fishing pole in front of a car; while Moseley drove, and Barker filmed. Afterward, Moseley played the film during his UFO lectures, and Barker sold copies of the footage via his mail-order film business. Both men continued to claim that Sheets had innocently recorded the saucer landing. In "Whispers from Space," the footage is shown while Moseley discusses its origins. Beginning in 1959, Barker expanded Saucerian Publications, which produced The Saucerian/The Saucerian Bulletin in Clarksburg, WV, to include books sales and production. The first book the Saucerian Press produced was Howard Menger's "From Outer Space to You." Saucerian Books also produced and sold works by Morris Jessup, Laura Mundo, and Michael X, which can be found in the collection. The business also sold overstock books from other publishers, and served as a mail order book service for hard-to-find or out-of-print works as noted throughout his personal correspondence, notably the "C" files. 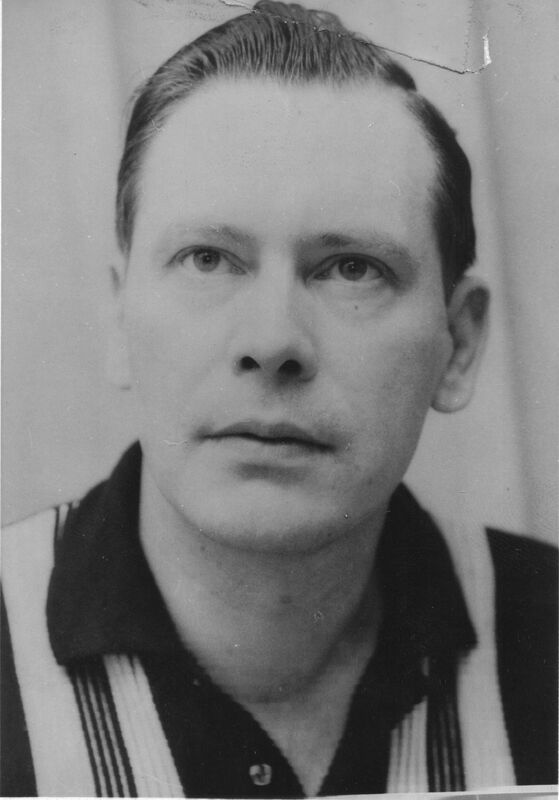 In 1962, Barker sold The Saucerian Bulletin to James Moseley—the editor of SAUCER News. Soon afterward, Barker filed for bankruptcy. Barker returned to magazine publication when he replaced Moseley as the chief editor of SAUCER News for a brief stint between 1968 and 1970. In 1975, Barker set up another UFO magazine—Gray Barker's Newsletter. The newsletter was produced until April 1984. SAUCER News was restarted in 1976 by its long-time editor, James Moseley. The publication is still produced--its current name is SAUCER Smear. In 1970, Barker published his second best well-known book, "The Silver Bridge." In which, Barker regaled readers with the Mothman sightings that took place around Point Pleasant, WV before the collapse of the Silver Bridge in 1966. Throughout the 1970's and early 1980's, Barker continued to publish his own works as well as others via the Saucerian Press. In 1983, Barker released "Men in Black: The Secret Terror Among Us." In the book, Barker provided readers with additional and updated stories about the men in black. Barker may have gone on to write other works; these have not been confirmed. While Barker's reputation as a scholarly writer was questionable, his creative writing style inspired a generation of readers to dream about UFOs. His works sparked debates among ufologists and enthusiasts around the world, pushed the boundaries of science fiction, and introduced UFO lore to popular culture. Barker was one of many writers who flourished during the heyday of UFOs. As UFOs fade, from the mainstream American psyche, the value of his works as science fiction will linger for future generations.